THE BEAUTY OF BEING, A COLLECTION OF FABLES, SHORT STORIES AND ESSAYS, is Abiodun Oyewole’s debut collection of prose. Oyewole writes frankly about his experience as a young poet and activist, and provides life lessons with fables and a fascinating travelogue that promotes resilience and self-care to his readers. 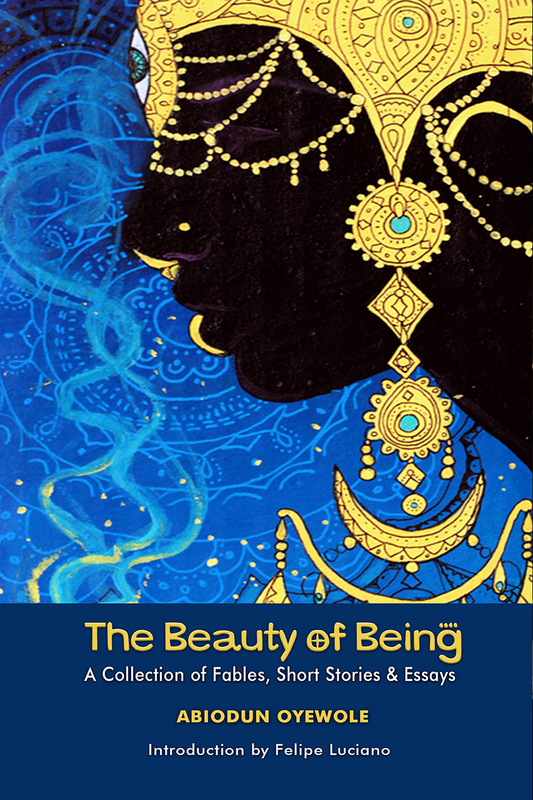 As the title suggests, THE BEAUTY OF BEING investigates a natural, moral, and sacred spiritual being of self-love, reminding readers if they use these elements as part of the beauty within, endless possibilities await. In his fables, Oyewole has a unique eye for the tiniest details that sheds light on the whole. In his essays, he provides an analysis about The Last Poets, the state of poetry today, and shares first-hand accounts of what activism means to him. Perhaps the most riveting part of this book are his stories of remembrance, which at first glance read like a travelogue but when closely examined, is a love story with a beautiful mediation on grief and loss. Throughout THE BEAUTY OF BEING, Oyewole brilliantly yet subtly interweaves mediations on race, class, culture, life and death, illusion and reality, while deftly showcasing several points of view in a contained space. In THE BEAUTY OF BEING, Oyewole connects to readers with sincerity, humor, heart and grace.